The American Health Council is proud to appoint Grace Totoe, MBChB, to its Board of Physicians. With 13 years in the healthcare industry and 3 in her current role as a Nocturnist/Hospitalist/Acute Care Medicine Physician at North Clinic and North Memorial Medical Center, Grace Totoe is being recognized for her expertise in Internal Medicine and Hospital Medicine. Totoe graduated in 2004 from Kwame Nkrumah University of Science and Technology Ghana Medical School with both her MB ChB in Internal and Transfusion Medicine, as well as her B.SC. in Human Biology. She has held a Residency in Internal Medicine at the Yale University-affiliated St. Mary’s Medical Center, along with a Fellowship in Transfusion Medicine from The University of Minnesota. Becoming involved in her current profession by drawing inspiration from her uncle, a doctor in Ghana. Totoe attributes her success to her compassion for the field of medicine, hard work, and her ability to work well with others. 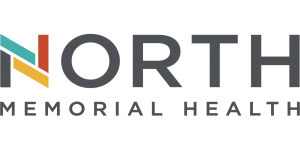 Day to day responsibilities at North Memorial Medical Center, a Level I trauma Center, includes taking care of several high acuity and medically complex patients. She works as a nocturnist, which is a hospital-based physician who solely works overnight shifts. Bearing many professional accomplishments throughout her life, Grace Totoe cites becoming a fellow of the American College of Physicians as a highlight in her 13 year-long career. She was given the Millennium awards for being a hard-working medical student in 2000, and holds Certificates of Merits from serving on the Finance and Fundraising Committee, Health Education Committee, and the Yearbook-Planning Committee. Grace Totoe is also involved in numerous professional associations, including The American College of Physicians, The Society of Hospital Medicine, The American Medical Association, The American Association of Blood Banks, The University of Minnesota Alumni Association, The University of Science and Technology Alumni Association, and the Ghana International School Alumni Association. She is in Good Standing with The Ghana Medical and Dental Council as well. Totoe is the CEO of her self-established Totoe Health Care Consulting Services, and holds a digital platform for a Telemedicine/Wellness Clinic. Her charitable work includes being a financial donor to the missionary work of Africa Partners Medical, which trains medical professionals in Africa by organizing continuous medical education program as well as donating medical supplies to healthcare institutions in Africa. 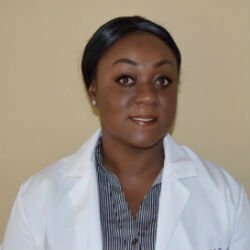 She has sent medical supplies to the blood bank of the Komfo Anokye Teaching Hospital in the past, which is where Dr. Totoe trained. Grace plans on continuing her charitable work by spending 4 hours a month at a local food shelter with her family. She was also a first-grade class parent for 2016/17 at Plymouth Creek Elementary School, and a first grade Sunday school teacher (2016/17) at Holy Name of Jesus Catholic Church. In her spare time, Totoe enjoys ballroom dancing (which has garnered her an award at the Snow Ball Competition, Beginner’s Level, in 2014), cooking, and spending time with family. In the near future, Dr. Totoe and her husband would like to start their private medical practice and wellness center. North Clinic is an independently owned, primary care based organization with select specialty services. North Clinic provides high quality, cost effective treatment through comprehensive primary care based services to improve the health of the communities they serve. Our mission—empowering our customers to achieve their best health—exemplifies our commitment to look at healthcare differently. But even more importantly, we look at you, the customer, differently. We believe that healthcare can be better and this is what really drives us. At North Memorial Health, you have a voice and we listen. You have health goals and we have the knowledge and the tools to help you get there. Even when illness or injury steals your strength, we will not let it steal your power. We believe when you’re engaged and informed, you will have better health and a better life. William Dillon, M.D. Vladimir Klebanov, M.D.